“To short oil, or not to short oil” That is the question. 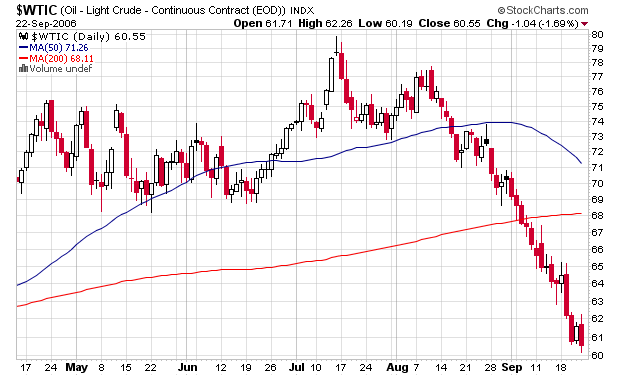 There is much discussion how high oil can go before correcting. Yesterday I was discussing with a trader the ramification of such a short-side approach. I didn’t agree with all of his reasoning yet I do remain persistent that oil will fall to 122-124 by the middle to end of next week. Nevertheless, I have chosen to sit this one out and watch the markets, for two reasons. First, I don’t believe I have the facts and figures necessary to make the trade, and Second, I don’t have the right instruments and knowledge thereof to profit from it (apparently DIG and DUG aren’t too helpful in this regard). Remember, its an 8% trade for every multiple of leverage! Good luck all ye oil shorters! 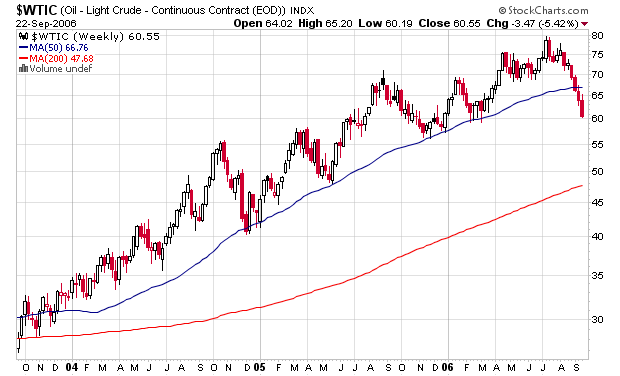 Crude Oil – The Next AAPL? Some things you may or may not know about oil, that makes some people think it’s going to $200 before $50. 1 barrel oil for under $100 will produce the amount of labor equivalent to 12 men working all year. That’s 2,000 hours of wages for every dollar. We currently pay about $6 for a gallon of water and $50 for a gallon of Starbucks coffee. Gasoline – a derivative of oil is used in everything from cars, to trucks, to planes, to trains to ships. The average computer – consumes 10x its weight in fossil fuels. The microchip – 630x weight. Every calorie eaten in the U.S. requires 10 calories of hydrocarbon energy. Oil liquids create the foundation for just about every product from cosmetics to clothes to rubber. There are over 6.4 billion people on the planet and that continues to increase. Most are well fed and their demand for fuel and products are increasing. 20-35 billion barrels a year in global demand for fossil fuels. 80 million barrels a day now needed worldwide to sustain growth. By 2030 this number will grow to 120. In other words, 200 million barrels will be needed to cover that demand as well as replenish depleting supply form current wells. in 1970 U.S. production peaked at 10.5 million barrels a day – oil prices went through roof – as oil wells were scoured the nation over. 10 years later at 4x the capacity a mere 6.5 mil barrels were being produced daily. Venezuela was, at one point, the largest exporter in the world, as was the U.S. until the 1950s. The last 3 major oil discoveries were in Alaska, Siberia and the North Sea in 1967, 1968 and 1969, respectively. Saudi Arabia, the world’s current largest producer, will need to produce 20-30 million barrels a day. They currently run at 12 million. If production has peaked in Saudi Arabia, then the world has peaked. Gawar, the largest oil well in the nation is now using water to push the oil out to the top. At some point it is no longer economical to do so and production ceases. No one is exactly sure of how much oil the politically-run Middle Eastern countries actually have. When demand for oil rose in the 1970s many of these countries announced an increase of 50% of supply overnight. Nevertheless, as 9 million barrels continue to be produced daily the numbers of supply over the last 30 years hasn’t changed. In 1970s major oil users were Europe, the U.S., the Former Soviet Union, Canada and Japan. Today everyone, including China, India, Africa, South America and the Middle East use oil. Suburbia may suffer as their model of far commuting are based on cheap transportation and fuel. Hydrogen is 20-30 years out. To replace today’s fuel usage you would need 10,000 of largest nuclear power plants. Ethanol and Bio fuels would supply but a fraction of our needs compared to oil. Wind is a less viable energy as it offers little wattage. Sunlight is 10,000 times more powerful and plentiful than fossil fuels. However, we lack the knowledge of efficient usage and it runs heavy initial costs and maintenance. Now of course there are doom and gloom theorists who see the world entering a decade of depression from the oil crisis. As capitalists however we know that anything of the sort will be short-term. It is not to be unaware of however that the consequences of not having acted sooner are enormous and the implications thereof do seem to be staggering. The market will work its way out. At some point it becomes less important to use as much fuel and demand falls. Similarly as the price rises the incentive becomes greater for explorations and drilling – including places where the profits until now have not been sufficient. The demand and eagerness for alternative energies will rise exponentially, and relative to fuel costs home-based energy solutions will become more mainstream. The price of oil may indeed need to rise 3 or 4 times before all that happens, but when it does chances are that we will have the supply that we won’t need. Regardless of what your opinion or what you may have read… The Age of Easy Oil is Over. This comes after BP revealed that oil reserves are less than previously thought. The oil market, once dominated solely by crunching supply and surging demand will act accordingly, sending oil prices to multiplying highs, similar to that of the 1970s, until new sources of energy are available for industrial use. I was just reading an article, a quite bearish one actually, from TheStreet.com written back in 2004. A few interesting things stood out. It shows a very bearish outlook. Something that was mainstream at the time. Sentimentally this may have been the reason why the markets couldn’t give yet and why we may be ready just for that now as the mainstream media is currently in denial as to a recession, much more an all out credit bust. The fundamental reasons driving speculation of a housing recession are just as prudent if not greater than they were at the time. It also mentions how the real slow down would begin with the lenders. This we saw clearly with the implosion of the sub-prime sector. Interestingly enough he also points to an apparent recession in the auto industry, something we know all too well. We all know that from 2004 interest rates have surged from 1% to the current 5.25%. Although the economy has not yet collapsed we also have not yet seen the substantial decline in housing that we most definitely will in the future. At the time real interest rates (Fed Funds rates minus Inflation) was in the negative. The 20 year average for Real Interest Rates was Positive 2.4%. He mentions that rates would thus have to rise to 4.75% to break even. It would then seem quite proper for the Federal Reserve to pause from tightening while inflation had begun to slow (and Real Rates stayed within margin). However, with Inflation now coming in at 2.75% YoY and the Federal Funds Rate at 5.75%, giving us a Real Interest Rate of 3%, well above the average, we are most probably due for some more raises. We see an obvious correlation between inflation (primarily costs of producers passed down to consumers) and oil prices. Interestingly enough, rates paused just about the time when oil prices began falling, from their high of $78 down to 52. (Currently trading around the 58-60 area). There is now a good chance that inflation (due to rising commodity prices), and thus interest rates (higher real rates), will continue their multi-year uptrend. What this means for investors – Stagflation. This means that while the economy makes little ground forward, inflation will nevertheless continue to rise. When housing tanks, it will drag along with it higher unemployment (all those no-longer-needed Realtors and investors), rising defaults and a storm in the bond markets, followed by lower earnings, which would inevitably lead to higher price ratios resulting in a sharp sell-off, along with the confidence of the American people and the long awaited for recession. What you should be buying… Precious Metals, Short-term Cash, Hard Assets and Commodities. What you should be selling… Stocks, Bonds, Leveraged issues and Financial Assets (and of course any second homes). Remember… It’s times like these when the key advice is simply not to lose. Forget about beating the market for now. If you stay safe and out of debt that shouldn’t be much of a problem. Well it doesn’t really exist yet. I just spent a good load of my time developing my own personal commodities index. It’s based entirely on ratios of Gold, silver, commodities, such oil, softs, grains and a few Indexes (The Dow, S&P and the Rogers’ Intl. Commodity Index). It also includes currencies. Taking a look back at it now just thought there were a few things that stood out I thought were worth sharing. The Inflation Theory – Historical evidence shows how an ounce of silver was often used as a days payment of a dollar, hence the Silver Dollar. At a current price of silver at 13.59 and the Dow at 12309, I arrived at a ratio of 905.74. The price it would have cost to buy the Dow in 1980 just before charging off onto the longest bull market in history! The Gold/Dow Ratio – In that year as commodities and stocks transfered batons, you could have bought the Dow for all of 1 – that’s one – ounce of gold! This happened before in April 1942 (2.7 oz.) and in 1933 (1.6). Gold in addition has matched silver at a ratio of 16 – compared with 46 today. Your house for my coins? – From 1950 till around 1998, 48 years, the average price of a home in the US would cost $110,000. In Gold ounces in 1980 that would be about 135. Today (after the Real Estate boom) it’s more like 348. I would figure that a house in Spain in the 16th century would cost somewhere in between – depending on the market. Black Gold – In 1980 you were able to buy about 12 barrels of crude for an ounce of gold. Today its about 11. Many point to times when the ratio was closer to 16. I couldn’t find a lot of information on commodity prices from historical periods. I’m sure that as this commodity cycle continues the information will become more available. I recommended an article about a month ago, explaining how storms generally whither. They don’t just stop. This was going back to right after the Israeli/Lebanese War. With Oil at $78 a Barrel Investors were scramming for options. But then all went shockingly quiet. I think that quiet is leaving as fast as it came. * 12 Sites in UK found with radiation exposure (This whole story regarding Russia has really got me thinking about what’s really going on there). The Russia-Iran relations has gotten many people thinking. * Politicians from both sides are asking Bush to take our troops out of Iraq to avoid conflict in what is already perceived as a civil war. Saudi Arabia has already vowed to defend the Sunnis if the US troops leave. * The recent assassination of a Lebanese politician has set of a wave of protest in Lebanon. Many think that this too could escalate into a civil war. * The cease-fire between Israel and Gaza (as well as between the Lebanese) is holding by a string. Any feared behavior can send them straight back into all out war. * Iran, Syria and North Korea – no comment. * The Dollar has plunged to lows unseen in 14 years. No surprise coming only days after China, as well as many other Central Banks, announced that they may be diversifying their US currency holdings. * The Housing market is finally beginning to cave in as we saw evidence of the huge inventory rise in sales albeit by a small margin. This was naturally coupled by a record loss in housing prices. 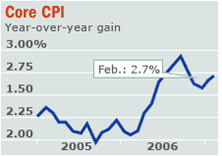 * Inflation is seen picking up speed at 2.4%, which is slightly higher than the 2% cap the Fed is comfortable with. * Manufacturing is slowing, but this is all old news in relation to the recession in the auto industry. * Gold and precious metals have surged in the past few weeks. A sure sign of economic and geopolitical uncertainty. * The Dow has pierced ever increasing all-time highs, and is beginning to show some resistance. It seems that this Bull has run its course. Higher? Maybe, but the margin is definitely to the negative. * Don’t even mention the Credit and Derivatives markets. Billions is no longer in the equation. were talking a half on a quadrillion dollars! 480 Trillion. 10 times the US economy. To say that can cause a serious shake up is an understatement. I don’t know much about the sector but I would strongly speculate that many will rake in fortunes while others will be completely wiped out. Futures have dates. and when those dates expire, you either won or lost. * AND coupled with all the excitement sentimental indicators show record low volatility and high optimism for the future of equities. It seems that investors and speculators alike have forgotten all fears. Good luck and have fun investing! And remember, hard-assets no market can take away from you. It’s no longer a matter of speculation. It’s a matter of fact. The OPEC is ready to cut supply chains in order to spurt demand, thereby challanging the possibility of lower crude prices. Talk about manipulation! This is word from the third largest supplier of crdue oil in the world. Don’t even mention the Middle East. A War in the region will completely bomb the oil market. All I can say is that the way it seems, we can’t have lower oil. This commodities bull is not only overdue and demanded, but its apparently inevitable! Stay alert for $100 a barrel oil, we’re only up from here.